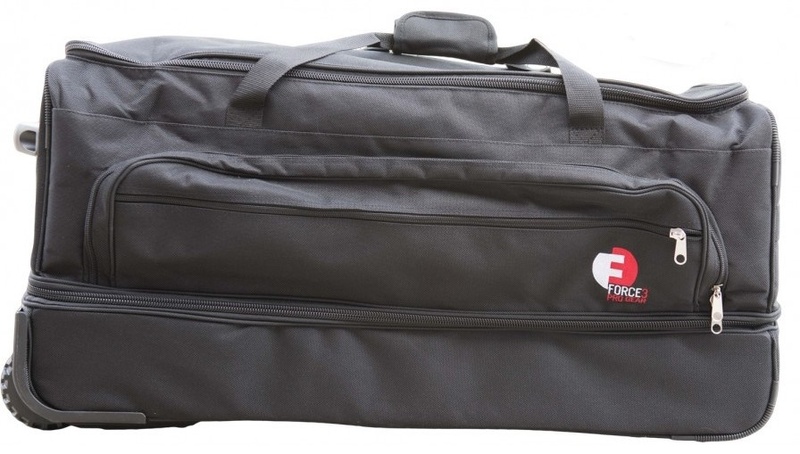 Force3 Pro Gear is proud to introduce the Mini Ultimate Equipment Bag. After numerous requests for a day bag from basketball and football officials, the Mini Ultimate Equipment Bag was born. The perfect size for weekend series, or using as a carry on during your next airline flight. This bag is made of the same high quality nylon and construction as its big brother, the Ultimate Equipment Bag. The bottom compartment also holds the shirt and pants folding bags, which are included for FREE! Dimensions of the bag are 23″ X 14″ x 12″. The telescoping handle has two heights, extending to 36″ or 40″. Add this lightweight bag to complete your set!